it was a progression of exact blends which did it in the seventh round, first with an overhand right and after that some huge lefts. 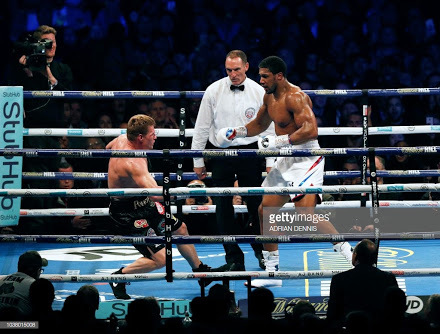 A fierce right hander has Povetkin stunned. And then Joshua goes in for the kill, unleashing a volley of shots. 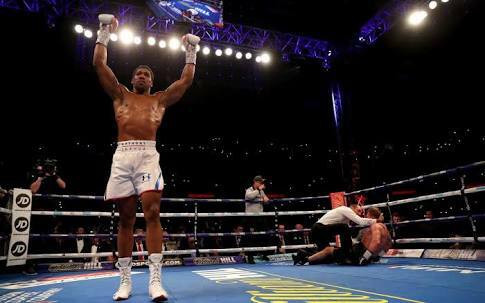 Povetkin goes down on the canvas, tries to get back up but Joshua lands a killer blow.